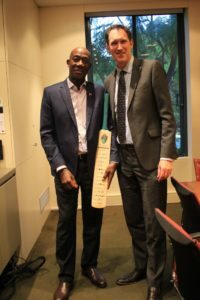 On May 25, 2018 Prime Minister Dr the Honourable Keith Rowley, Minister of Foreign and Caricom Affairs, Senator the Hon Dennis Moses and Minister in the Office of the Prime Minister and Minister in the Ministry of the Attorney General and Legal Affairs, the Hon Stuart Young met with the Chief Executive Officer of Cricket Australia, Mr James Sutherland and other executive members of Cricket Australia. Cricket Australia is the national governing body for cricket in Australia. The discussions surrounded the history of West Indies Cricket and the recent developments in West Indies cricket, including its current state. The Prime Minister provided a briefing on the position of Caricom leaders and how they collectively feel about the management of West Indian cricket. Discussions were on the evolution of Cricket Australia as well as the management of Australian cricket and in particular the structure of Cricket Australia and its focus on promoting the game to the benefit of the people of Australia. 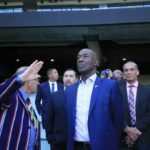 The parties also discussed the role of the International Cricket Council (ICC) and the need to return the West Indies Cricket team to a dominant position in international cricket. The Australian participants confirmed that West Indies cricket played an important role in Australia’s cricket history and that West Indies players were always well respected and loved from the days of Sir Frank Worrell, Sir Gary Sobers, Clive Lloyd, Sir Vivian Richards and Brian Lara. 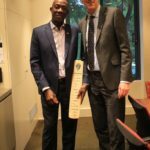 It was agreed that Cricket Australia would provide whatever support it could to assist West Indies cricket going forward. 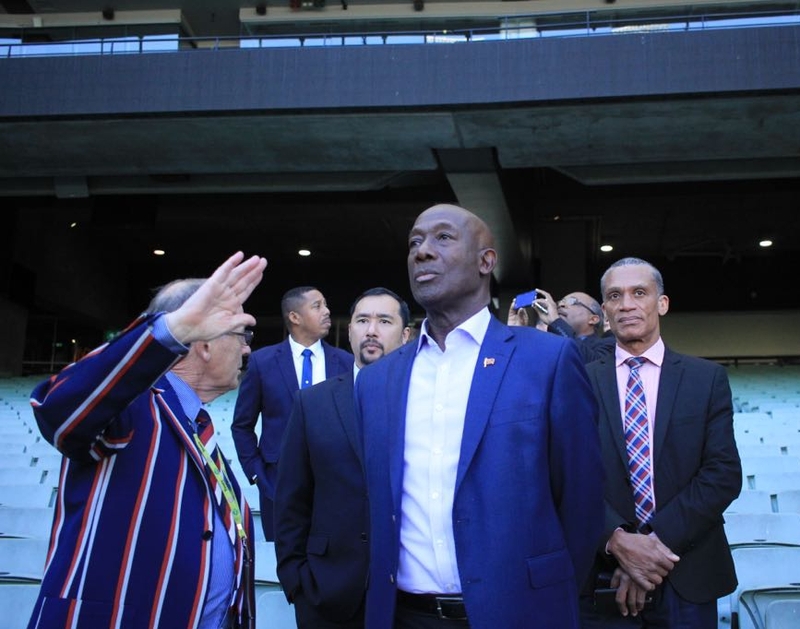 Prime Minister Rowley sits on the CARICOM Heads Cricket Committee which is chaired by Prime Minister of St Vincent and the Grenadines the Hon Ralph Gonsalves. The committee is due to meet with the International Cricket Council (ICC) in November to discuss the state of West Indies Cricket. The Prime Minister and his delegation also toured the Melbourne Cricket Ground, which is recognized as one of the great cricket grounds in the world. Dr Rowley and the rest of the delegation will return to Trinidad and Tobago on Monday 28 May, 2018.